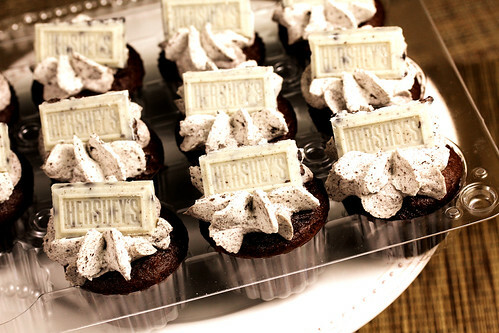 Oreos and Hershey bars in one cupcake. This is chocolate heaven! Cookies n Cream Mini Cupcakes, originally uploaded by IrishMomLuvs2Bake. Fudge Cakes with Crushed Oreo in Whipped Cream Frosting.